What is known about Immanuel Kant’s life? Immanuel Kant was born in Königsberg in East Prussia. His father was a saddler, and his grandfather was a Scottish immigrant. After attending the local high school, he was taught by the philosopher Marin Knutzen at the University of Königsberg. He worked as a tutor and returned to take a master’s degree, after which he was employed as a Privatdozent (Private docent, or P.D.) to teach physics, mathematics, anthropology, geography, and some philosophy. (In his courses on anthropology and geology, he taught the prevailing view of European racial supremacy over Asians and Africans.) 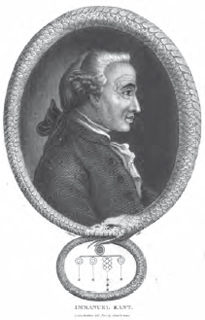 He was poor until 1770, when he secured the position of chair of logic and metaphysics at Königsberg. Other European intellectuals, such as Jean-Jacques Rousseau (1712–1778), whom Kant greatly admired, constantly moved and traveled to secure their fame and livings, with amorous and political adventure, as a kind of byproduct of their intellectual careers. But that was not for Kant. He never left the area of East Prussia, and remained a bachelor in Königsberg (now Kaliningrad) all his life. When the Prussian king asked him not to publish further about religion in 1794, he duly complied. Kant’s health was fragile, but he took care of himself, living until he was 80. He relied on travelers and published works for information about the outside world and was content to dine with friends and fulfill his professorial duties, including a term as rector of the university. Kant’s early works were about natural science, the most notable being his General History of Nature and Theory of the Heavens (1755). His magnum opus was The Critique of Pure Reason, but when it finally appeared in 1781 few could understand it. He tried to make his ideas more accessible in his Prolegomena to Every Future Metaphysics (1783). This was followed by his 1790 Critique of Practical Reason and the Critique of Judgment. In 1793 and 1797, he published Religion within the Bounds of Mere Reason and the Metaphysic of Morals. Kant was by then famous, but younger thinkers undertook to explain his system better than he had. He was working on his response to them in his Opus Postumum when he died. Immanuel Kant constructed a system of reason from which empiricism and the sciences could be derived (iStock).